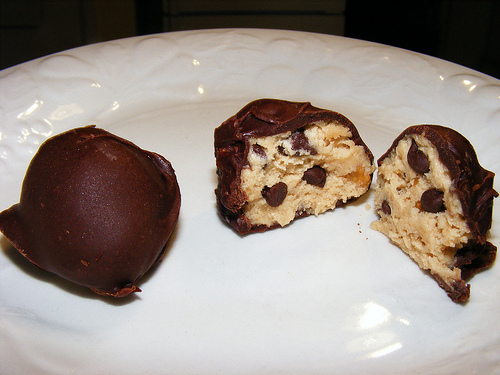 The Schulers: Chocolate Chip Cookie Balls? Yesterday somebody brought chocolate chip cookie balls to Jonathan and Carolyn's. They were so yummy! Along with the frosting bombs (that I never got to), these are next on my list of things to make!